An unholy combination of unquestioning fervour of Chinese bureaucrats in implementing Xi Jinping’s BRI, poor diligence on all sides in project feasibility and allegations of corruption are creating the perfect storm for China, which it must correct. These are not happy times for China’s Belt and Road Initiative (BRI). Just five years after China’s President Xi Jinping launched his signature multi-billion-dollar scheme for trans-Asian connectivity and infrastructure, its projects have aroused disquiet in Sri Lanka, Maldives, Myanmar, Malaysia and most recently in Pakistan. The trouble started a year ago with the Hambantota port project in Sri Lanka. 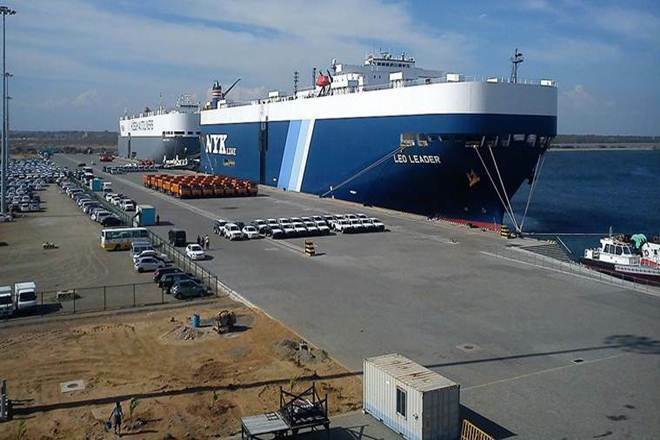 With international shipping calls at the newly-built port well below projections and being unable to repay the loans and interest due to its Chinese partner, the Sri Lankan Government decided to lease the port to China for 99 years. The resulting outcry of ‘predatory financing’ aroused suspicions that China’s ambitious BRI ventures would entrap the recipient countries in a snare of unsustainable debt. That Chinese loans constituted just about 10% of Sri Lanka’s overall foreign debt was not material; in these matters, timing is everything and the Chinese loans were the last straw on the back of an already overloaded Sri Lanka. Clearly, due diligence had not been done. Something was wrong. In short order thereafter, concerns emerged about other Chinese projects. 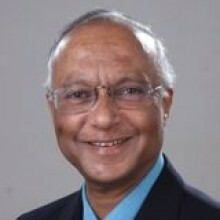 The Centre for Global Development, Washington D.C., published a study of 68 BRI-linked countries worldwide amongst which eight nations (including Maldives and Pakistan) were listed as ‘highly vulnerable to debt distress due to future BRI-related financing.’ Malaysia recently cancelled about $3 billion worth of BRI pipeline deal (where some Chinese-invested projects are entangled in a graft probe) and wished to renegotiate another – the prestigious East Coast Rail Link – with China. And right now, Pakistan has sought to ‘review or renegotiate’ parts of the $62 billion China-Pakistan Economic Corridor (CPEC). “Et tu, Brute!” might be China’s rueful response to its ‘iron brother’. In Sri Lanka, Malaysia and Pakistan, matters came to a head following changes of government in all three countries. But it was not just political rivalry at work, to undo the previous regimes’ accomplishments: there had been earlier concern about the viability of the deals, not helped by the non-transparency surrounding the BRI agreements. China must correct this situation, or else find its other BRI partners wary and insecure. To do that, China must slow down at this amber signal and change lanes to take a slower but surer road to its destination. The first step in that road – an acceptance, if tacit, that things have gone wrong in several parts of the BRI – is difficult enough. But the next one – of restructuring the BRI to prevent such mishaps in future – is even more so. The deficiencies need fixing through diligence, transparency, consultation with partners, creating internationally diverse sources of both funds and contractors and changing the psychodynamics of the negotiating process. In short, it implies structural reform of the entire BRI edifice. All businessmen live with agreements – verbal, implicit or written – and are aware that, despite the greatest foresight, changed circumstances sometimes result in outcomes that seem unfair to one or other party to the agreement. When such an ‘unequal agreement’ causes real pain to a stakeholder and seriously jeopardises business prospects, a good businessman tweaks the agreement suitably. These amendments are negotiated pragmatically without great publicity, with the expenses absorbed as the cost of learning. But private businessmen do not drive the BRI process in China – it is largely the party, the bureaucracy and State-owned enterprises (SOEs). And China’s state-embedded systems lack the flexibility for such pragmatic accommodation, since they are bounded by rules, a culture of precedent and a healthy fear of the State Discipline Inspection and Supervision apparatus. For these reasons, China – the very country which suffered many “unequal treaties” – may find it difficult to renegotiate its BRI contracts, but it may have no other viable option. Where does India find itself in all this? There is a temptation that awaits us; alternatively, an opportunity. India had always opposed the BRI and now finds itself vindicated. So, the natural temptation is for us to say, “I told you so!” and indulge in schadenfreude, always a delicious experience. That would not be smart. Rather, there are four reasons for India to treat this Pakistan/China crisis as an opportunity and to make the counter-intuitive move of an outreach to China. First, despite the shoddy implementation of the BRI, its founding idea is still sound. 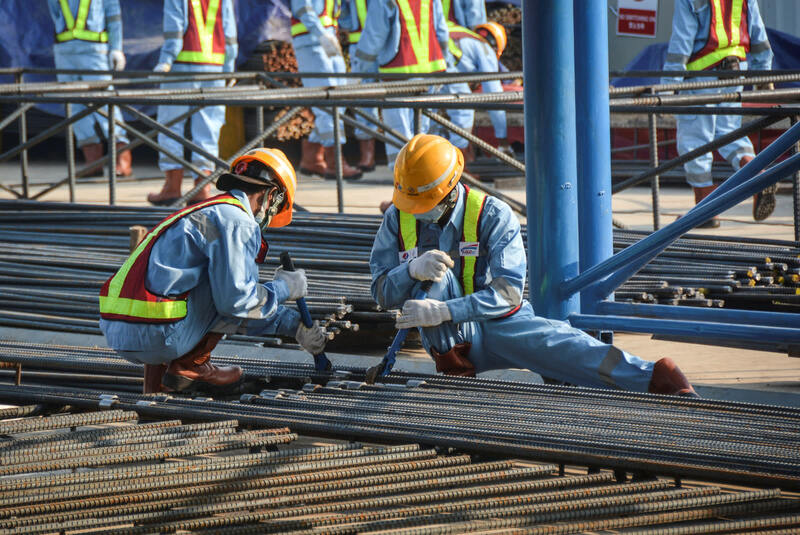 Connectivity and infrastructure are the sinews of development, and Asia needs them, in spades. China’s resources are large, and its ability to execute infrastructure projects is well proven. India is well-placed to contribute to improving the governance matrix of the BRI; China will remember that many of those ideas have been articulated by India. Second, India itself will benefit from the connectivity that restores the sub-continent as a geo-economic entity: if BRI can help, why not? As an example, if the CPEC is to be reborn in a new avatar, its viability will need bolstering. How better than to link CPEC with India to its east and Iran to its west and bring those large markets into play? Plans already exist to bring Afghanistan into the CPEC ambit. That would nicely fit the agreement reached between President Xi and Prime Minister Modi at Wuhan, to establish a joint Sino-Indian project in Afghanistan. Of course, the legal hurdle of India’s sovereignty claim over Pakistan-occupied Kashmir will require resolution, but surely, given the intention, our diplomatic ingenuity can rise to the occasion? 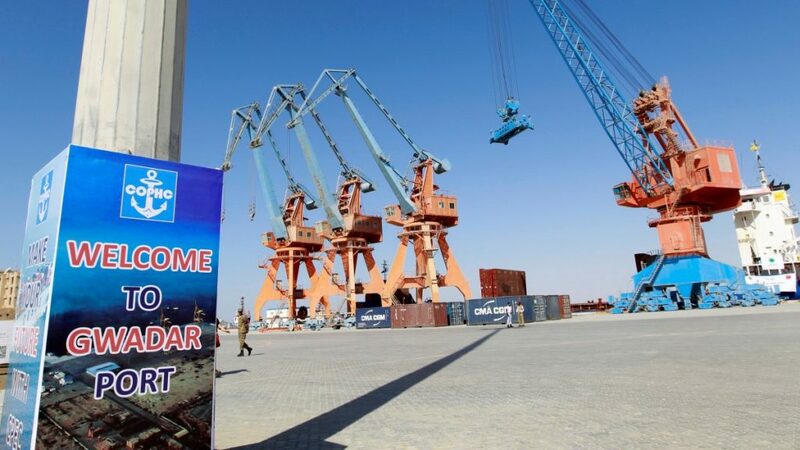 Further, an Indian dimension in the CPEC would add a creative and sorely-needed economic heft to India-Pakistan relations, which must break out of the current impasse for both nations to realise their full growth potential. Third, it is important for India to join the Regional Comprehensive Economic Partnership (RCEP), a contemplated plurilateral free-trade group whose 16 candidate members (including India) are in the final stages of negotiation. The main sticking point for India here is for China to agree to an appropriate transition period before duty-free Chinese imports can enter India: Indian industry apprehends that too short a period would place several sectors of Indian industry at risk. Such a quid pro quo from China could be a game-changer. Fourth, this crisis also creates an opportunity to re-imagine BRI from the fundamentals. A good place to start would be its motto: “a community of shared destiny”. This phrase has been dismissed as a vacuous political sound-byte, but it holds the clue to a very different type of BRI. “A community of common destiny” would not be (as it now is) a centrally-coordinated clutch of projects, driven by clones of Party/SOE bureaucrats and based on a uniform management template of techniques. Rather, it would be a loose and flexible network that would connect China to its partner countries across multiple dimensions using a variety of methods. Projects could be developed at nation-state level, or at the provincial, regional, city or local ones. Companies of each country could engage with each other at the consortia, production enterprise or research/design levels. NGOs, social enterprises and citizen groups could connect, using the methods and matrices appropriate for the purpose. Decision-making and accountability would be nearer the points of action, probably a surer way to limit malfeasance, create good governance systems, and build the appropriate infrastructure. But China may not be able to reformulate the BRI structure in such a manner on its own; it may be too invested in its present conception of the scheme. On the other hand, the prospect of the whole venture unravelling in a series of ugly messes may concentrate its mind and make it more amenable to suggestions from its BRI partners and from India. Such collaborative “co-creation” of the BRI could not only limit the damage from its present woes but transform it into a more robust form capable of weathering the many storms that a $ one trillion project will surely bring in its wake. Finally, this moment is a test as to how Asia’s two most populous countries will conduct their relations. Will they continue in a one-upmanship competition, with each party scoring points and delighting in the other’s discomfiture? Or will India and China develop a mature process of cooperating whenever they can, but competing when they must? A crisis can be a turning point: aptly, the word “crisis” in Mandarin consists of two characters: one standing for “danger” and the other for “opportunity”. We can only wait and watch which way China will turn. Ravi Bhoothalingam is an MA in Experimental Psychology from Cambridge University, a corporate director, and Honorary Fellow of the Institute of Chinese Studies, Delhi.